The Digi-Camo collection patterned nylon stitched to a suede-style black vinyl. 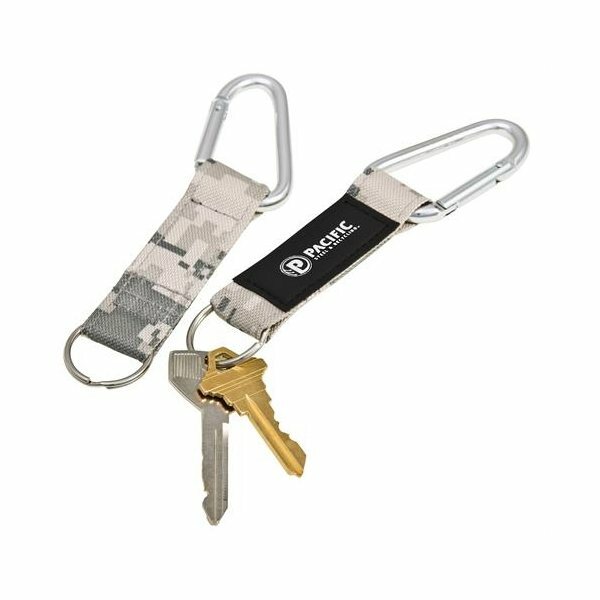 Carabiner with woven nylon key band. We've been ordering these for almost a year to hand out at events and everyone loves them. 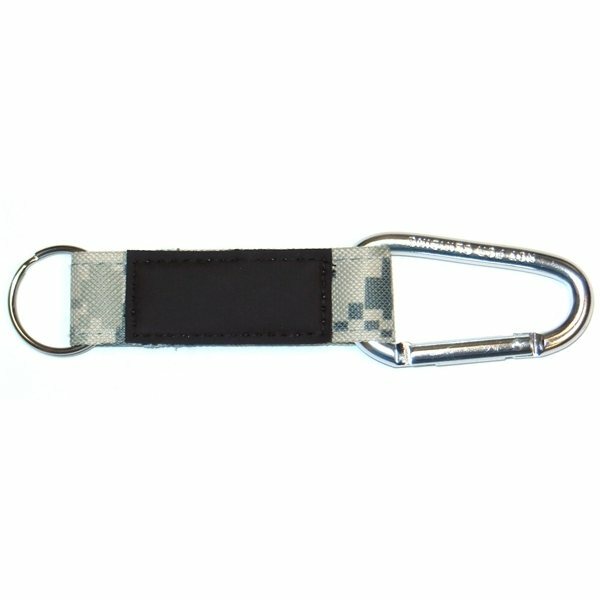 They look good and are sturdy and very durable. 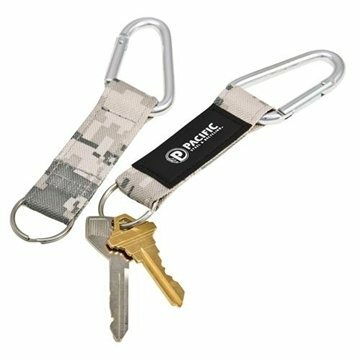 Everyone loves these and they have a lot of uses.We have ordered them at least 3 times. I would advise getting one of the metallic inks on them, since it will hold up better through hard use and not rub off. They get a lot of wear and tear and are in and out of pockets a lot. So far they have held up really well. People really appreciate getting something so functional. Arrived on time and the guys are excited to have these for their hunting vehicles. We have already done a reorder to give to soldiers down in Fort Hood.